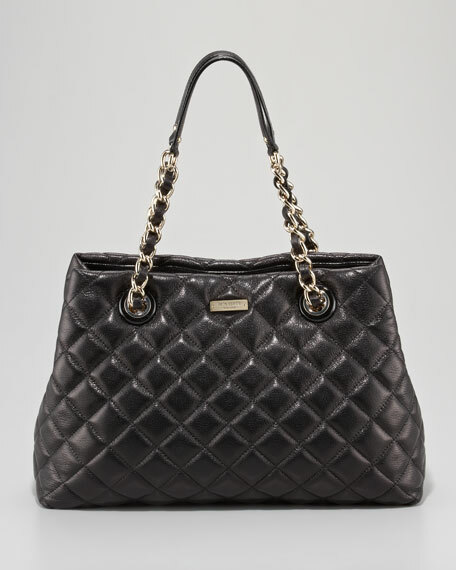 This subtly shimmering kate spade new york bag transcends time, adding poise and sophistication to every look you wear. 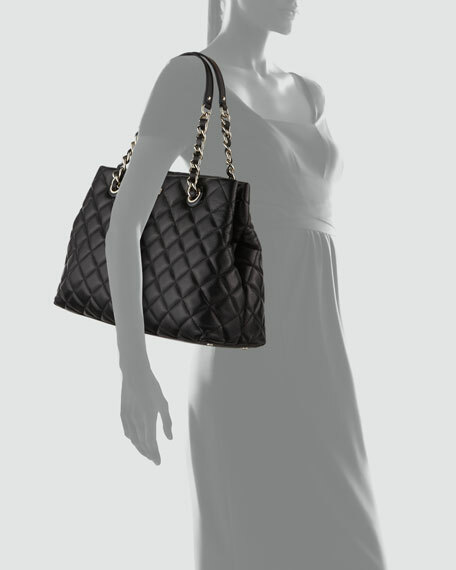 Black, quilted, pebbled calfskin features metallic foil coating for subtle sheen. Woven chain shoulder straps with leather inset; anchored by grommets. 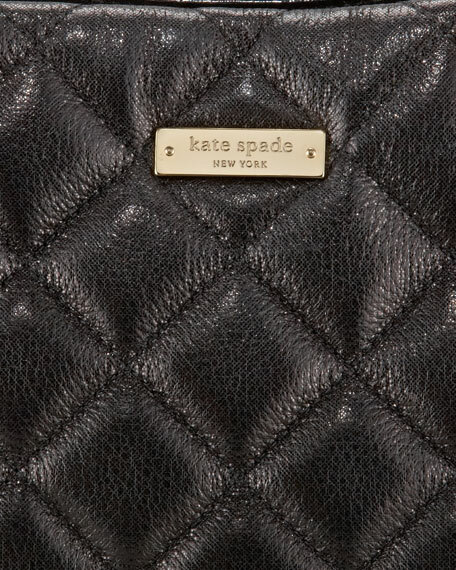 Golden kate spade new york logo plate on front. 10 1/4"H x 15"W x 5 1/2"D.